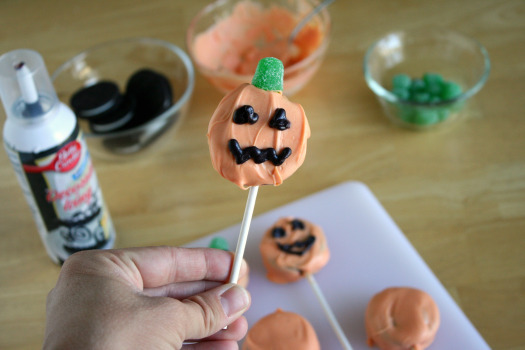 These little jack o’ lantern cookie lollipops are just the treat to give to your own little ghosts and ghouls! 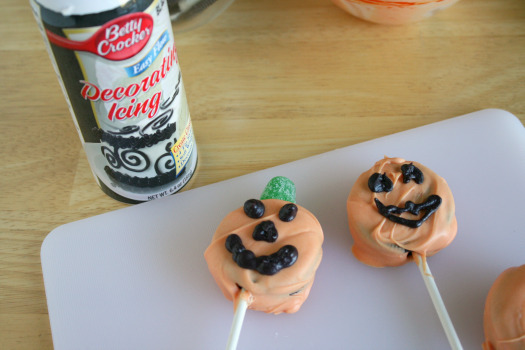 Kids can have fun dipping and decorating each pumpkin’s lollipop face, making them come alive. 1. 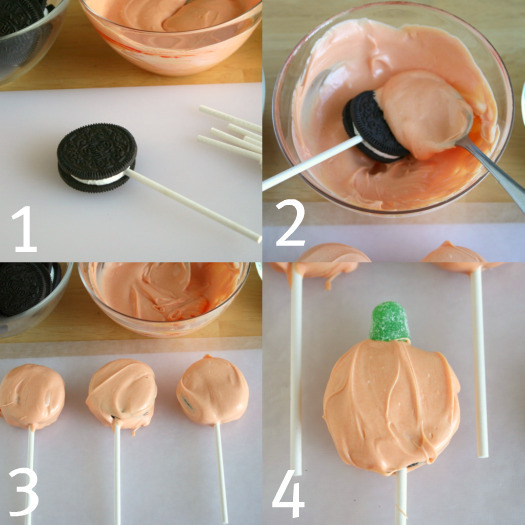 Add your lollipop stick through your white creme filling. 2. 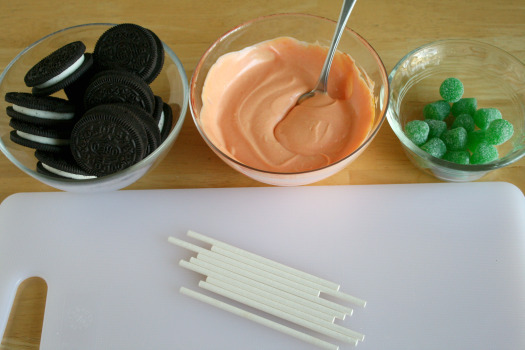 Dip your cookie into the melted orange tinted white chocolate. Make sure it is covered all over. I used my spoon to help get it all covered. 3. Lay your dipped cookies onto wax paper to cool and harden. I like to place these in the freezer for 10 minutes, to make the hardening process go quicker. 4. Before it hardens, add one green gum drop to the top. If your cookies harden before you add the gum drop stem, you can use a toothpick to attach it to the top of the cookie. 5. Once your dipped cookies are hard, add the writable frosting to the front, making a spooky jack o’ lantern face. You’re pumpkin cookie lollipops are ready to munch! 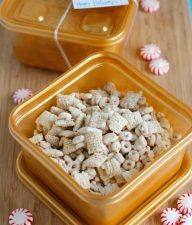 You can package these up in individual plastic baggies and tie with a Halloween ribbon. 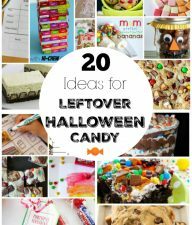 They would be the perfect treats to give out for Trick or Treating! 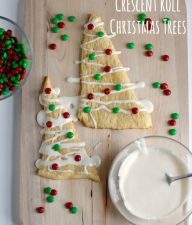 That is a really nice alternative to rolling out the sugar cookies, which I totally love, but, wow, what a project to start with making dough and end with decorating. Great idea. fun! I love making the food fun for the family! So cute! We’ll have to try this! Adorable cookie pops. 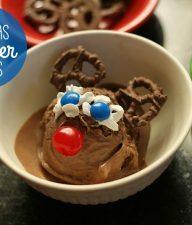 Simple to make, and kids will love them. These are cute! We don’t celebrate halloween, but we can always leave the faces off and my kids love Oreos! Oh, holy YUM. Dribble, yum, yum, yum. From the Kitchen Leftover Halloween Candy? 20 Ways to Use it Up!